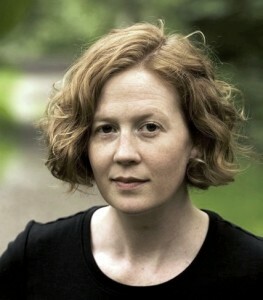 Emma Marris is an environmental writer and reporter. She has written for many magazines and newspapers, including Slate, National Geographic, the New York Times and the scientific journal Nature, where she was on staff for about five years. Marris holds a Master’s in Science Writing from Johns Hopkins University. In 2011, she punished her first book, Rambunctious Garden: Saving Nature in a Post-Wild World. The book highlights alternative conservation strategies that do not focus on holding or returning land to a historical baseline. From managed relocation of species threatened by climate change to the embrace of so-called novel ecosystems, Marris champions a blurring of the lines between nature and people, and a conscious and humble care of our humanized planet. Marris grew up in Seattle and currently lives in Klamath Falls, OR with her husband and two children.